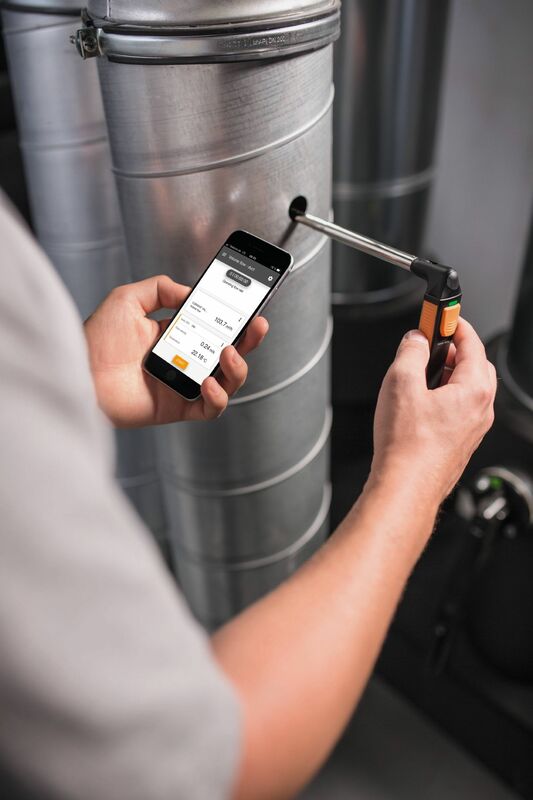 No more surprises: the testo 405i thermal anemometer with smartphone operation from the Testo Smart Probes series is ideal for carrying out measuring tasks in ventilation ducts. 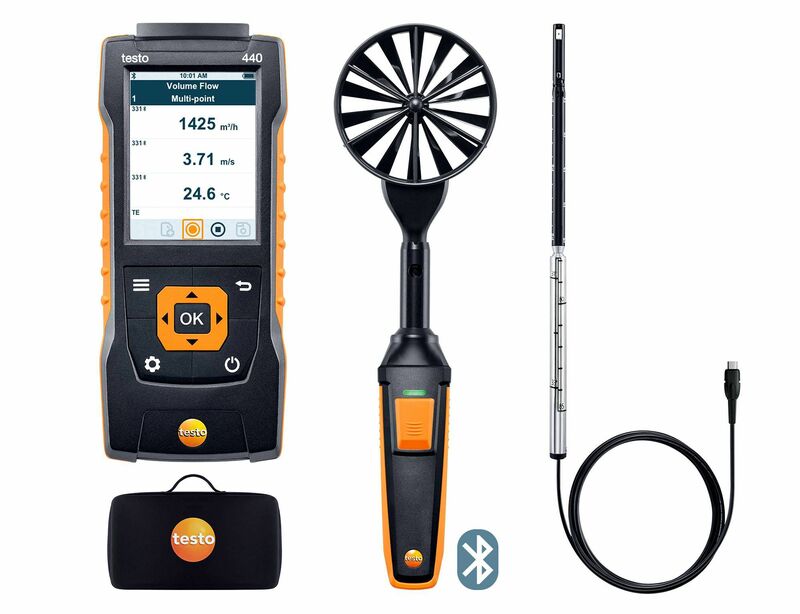 It is easy to use the anemometer to determine air velocity, temperature and volume flows. 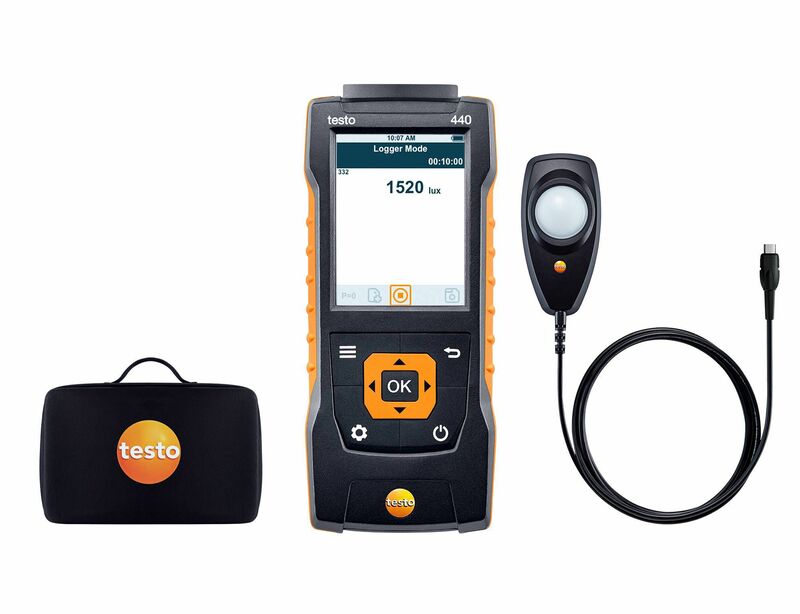 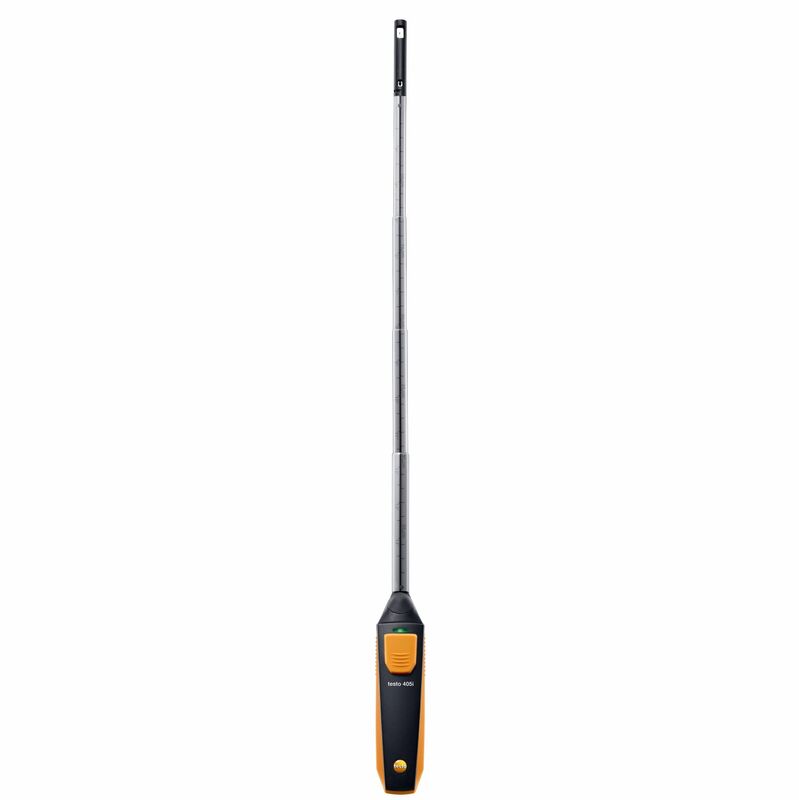 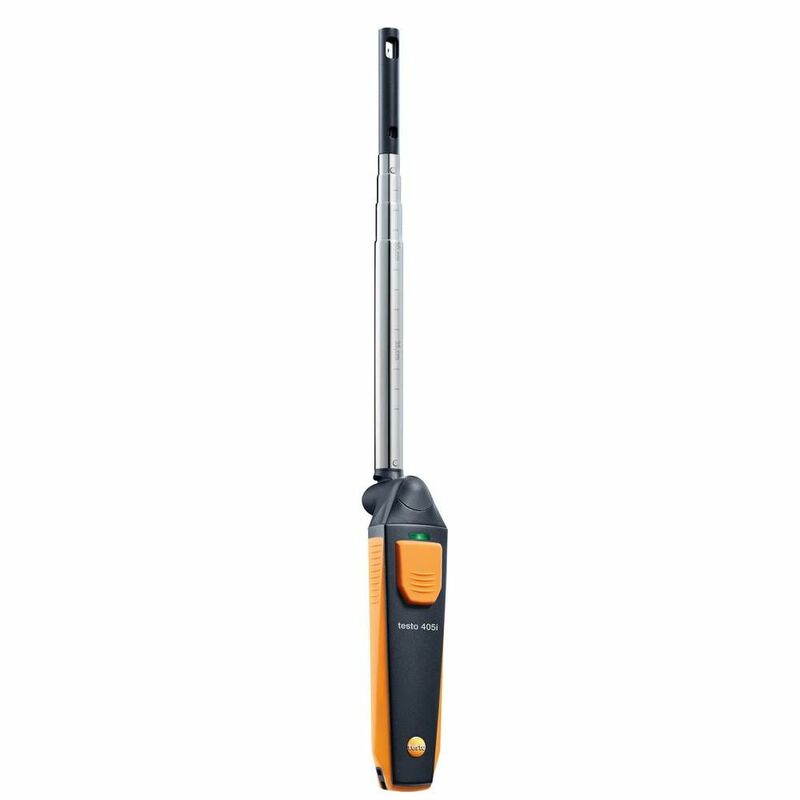 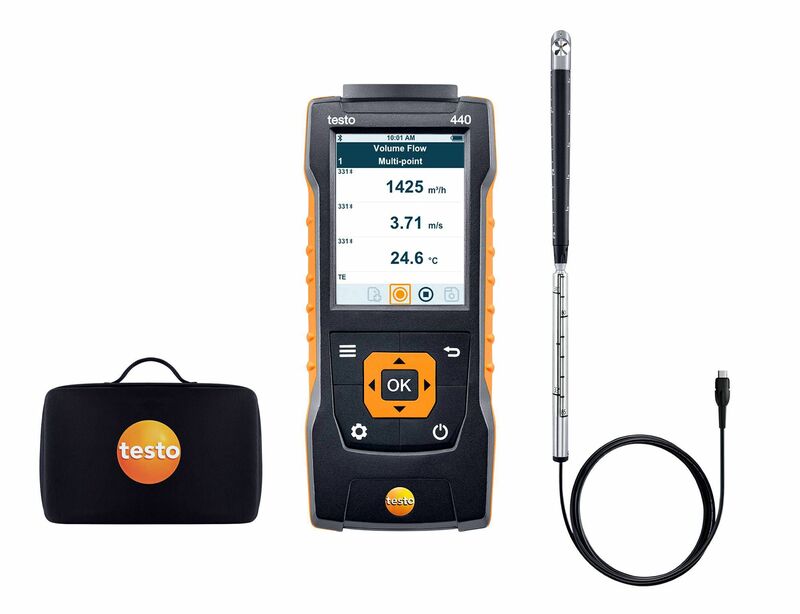 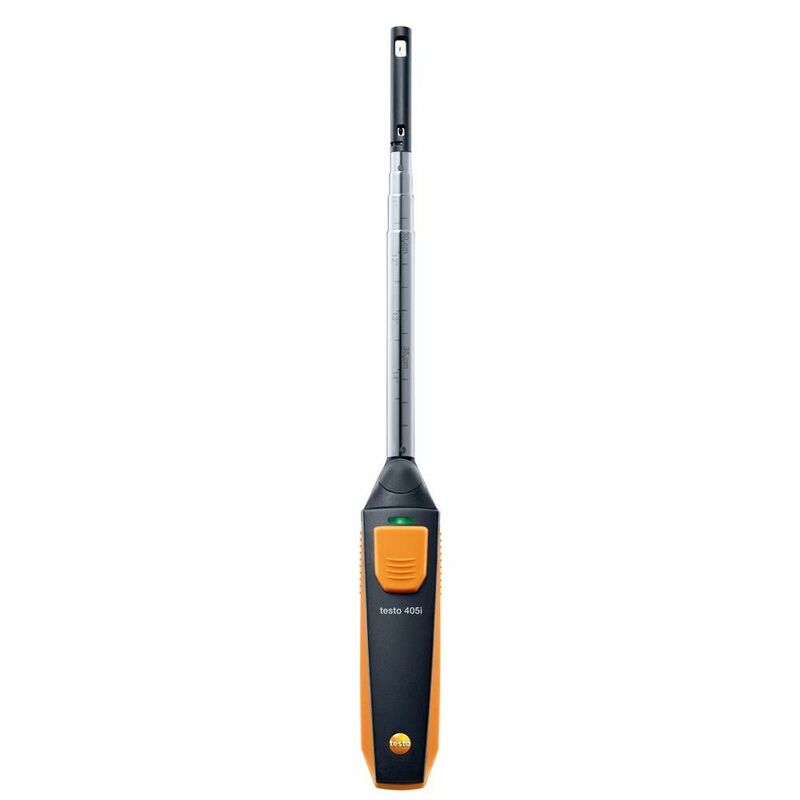 The testo 405i is also suitable for measuring indoor air velocity. 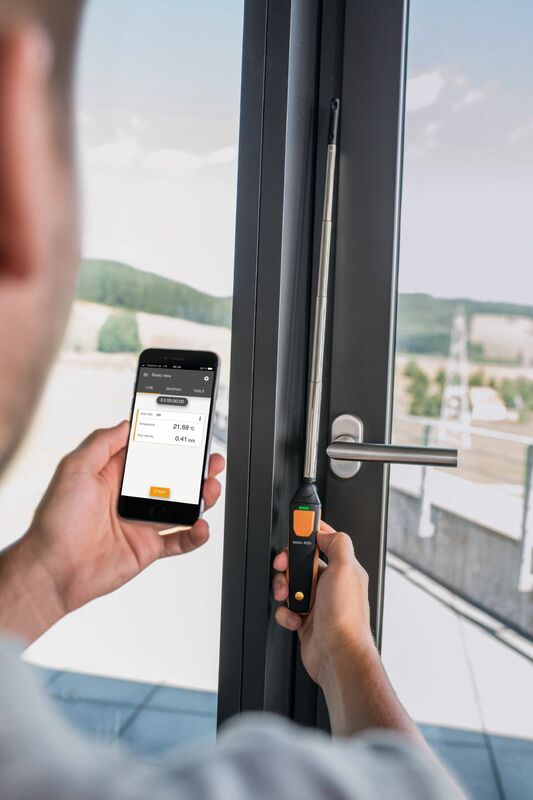 Practical when, for example, you want to locate non-airtight windows. 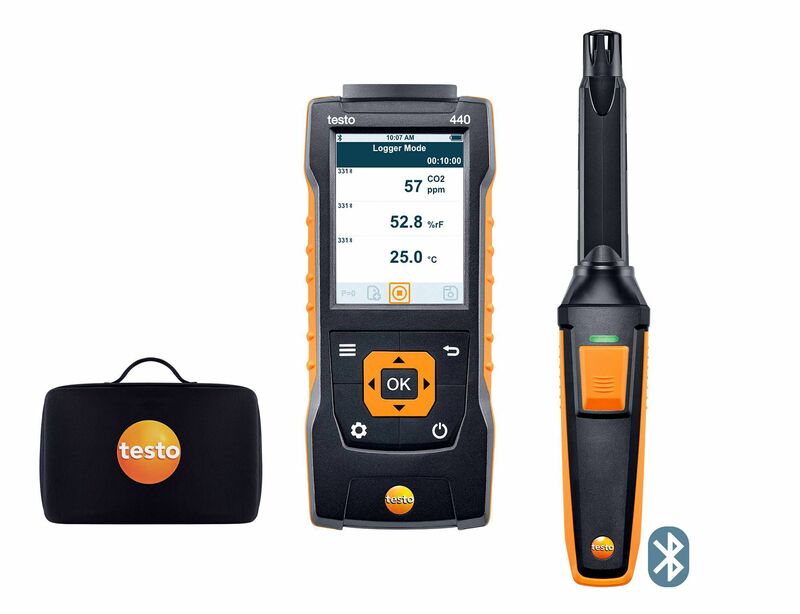 Cooling capacities and heating outputs can also be calculated when used in conjunction with the testo 605i thermohygrometer. 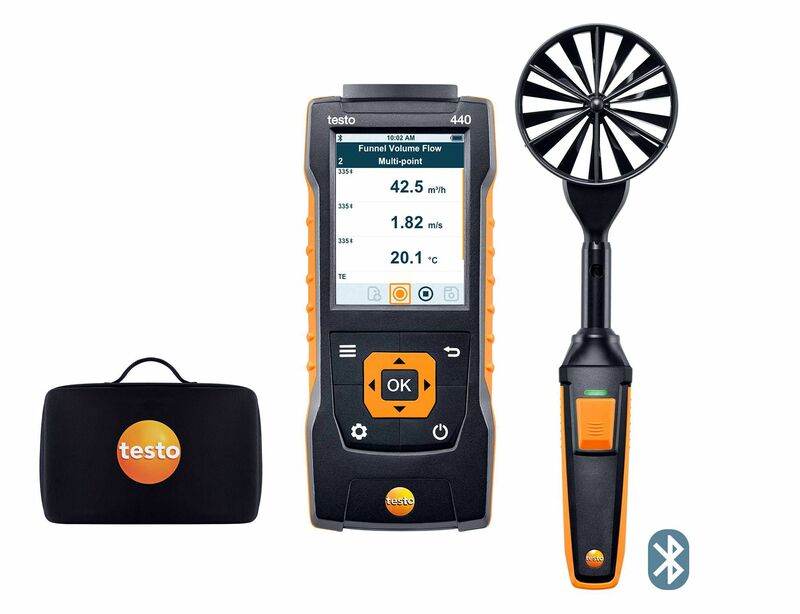 The testo 405i hot wire anemometer combines professional Testo measuring technology with App-based operation. 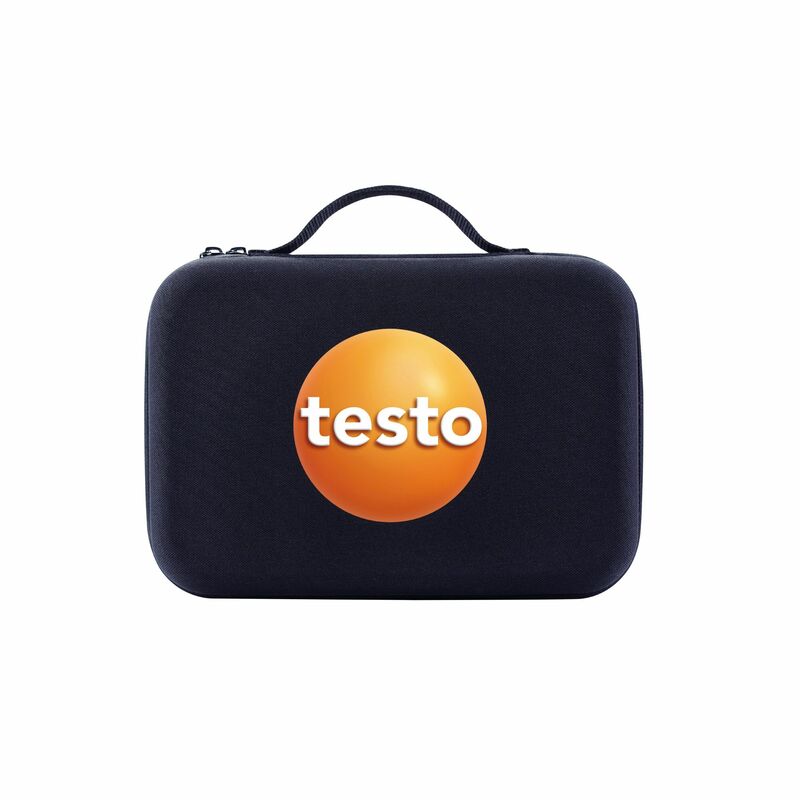 This means you benefit from numerous additional functions in your day-to-day work. 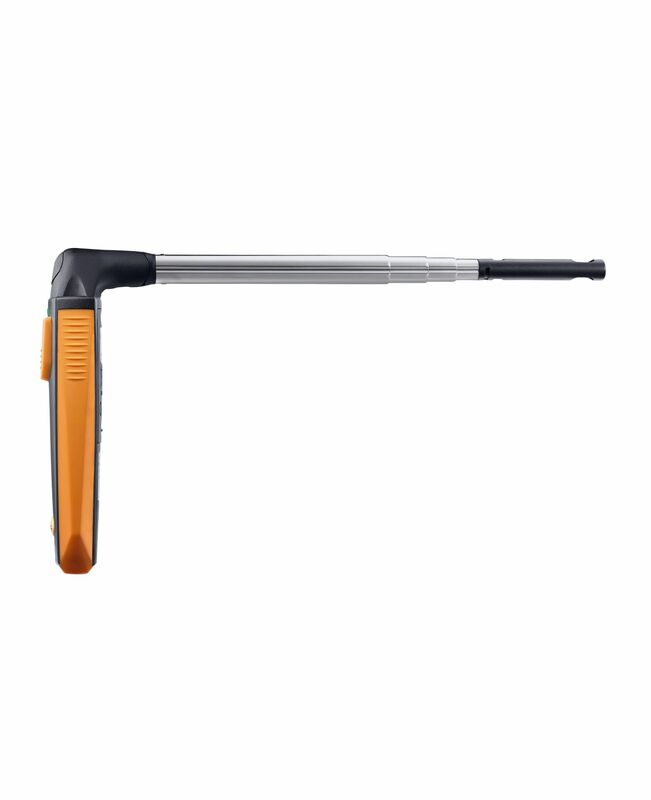 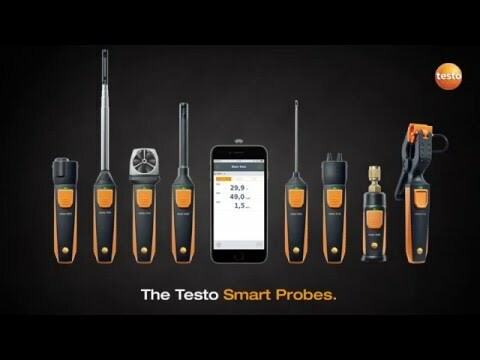 With the testo Smart Probes App, you can view readings conveniently on your smartphone or tablet. 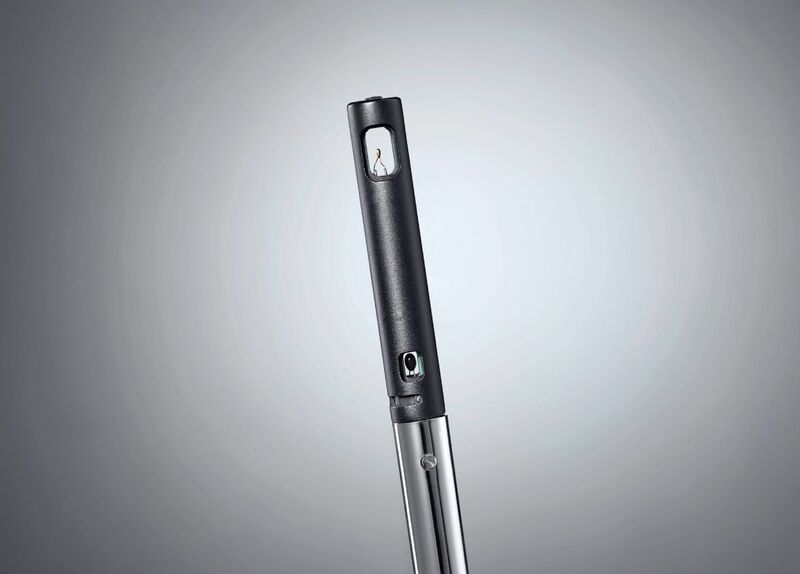 You no longer have to spend ages trying to make out the display at poorly accessible points. 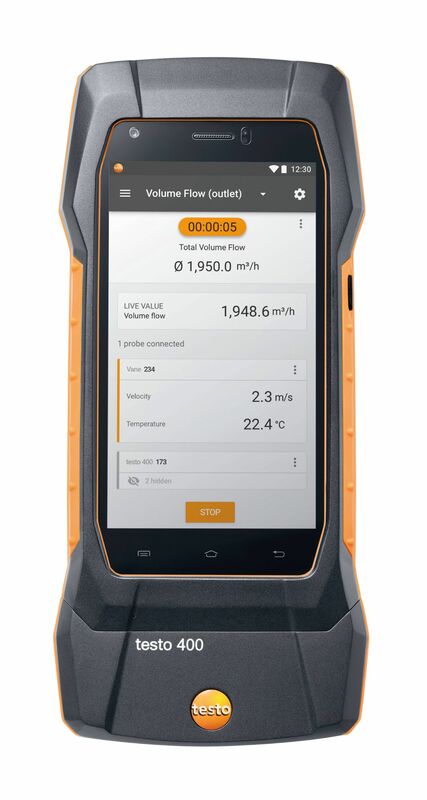 Volume flow can also be measured easily using the App: following intuitive input of the duct cross-section, the App calculates this completely automatically. 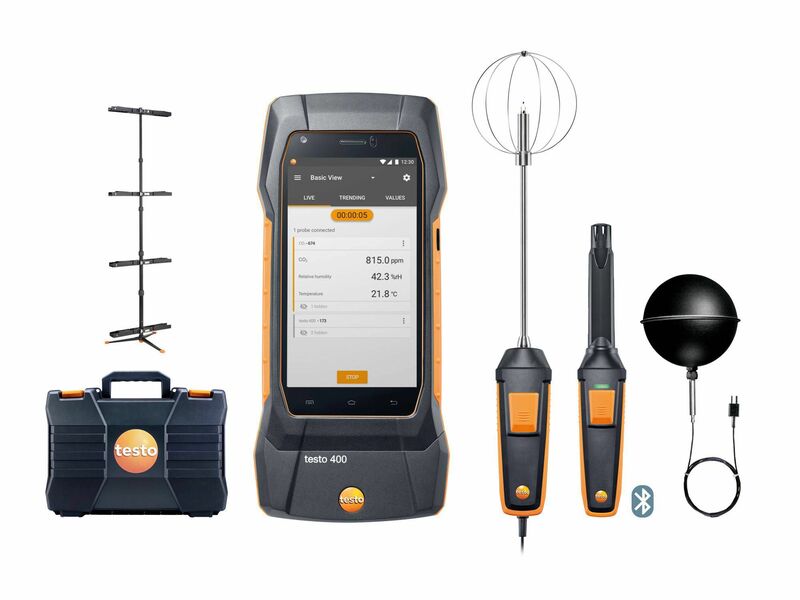 The App opens up other practical options too: it not only displays measurement data, but also evaluates and documents it. 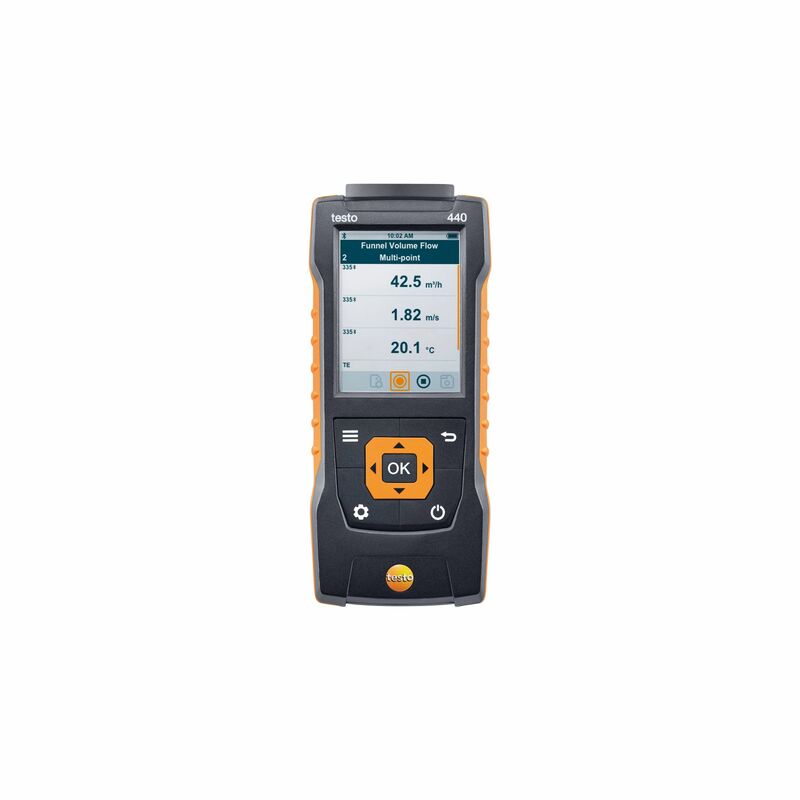 It is easy to carry out a timed and multi-point mean calculation with the App. It also displays the measurement data curve at the press of a button. 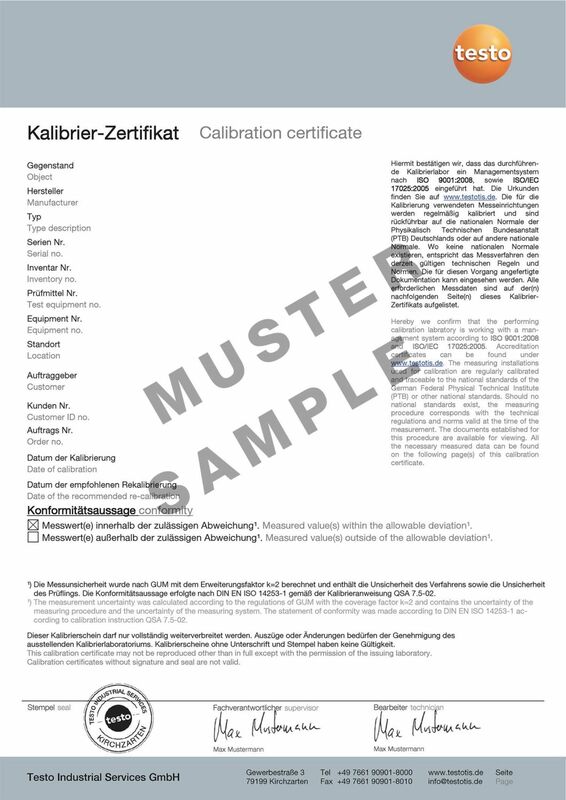 And sends the measurement data logs as PDF or Excel files. 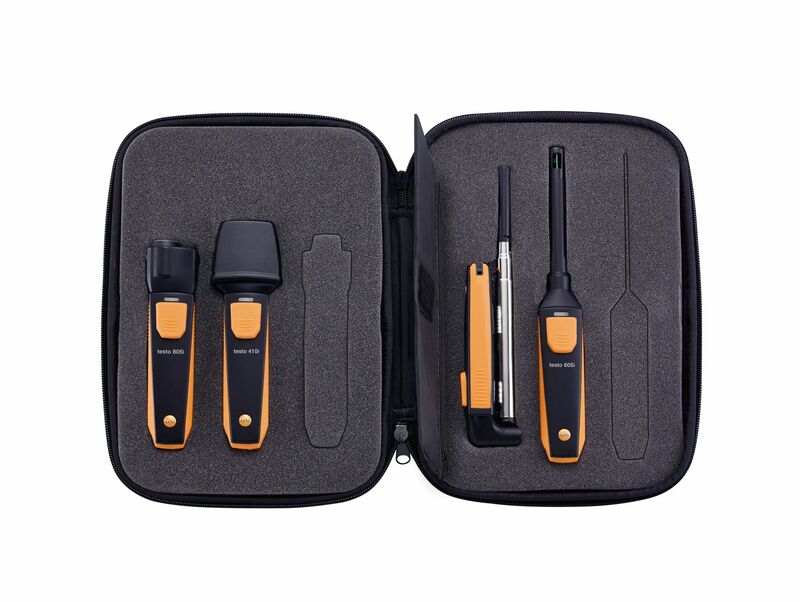 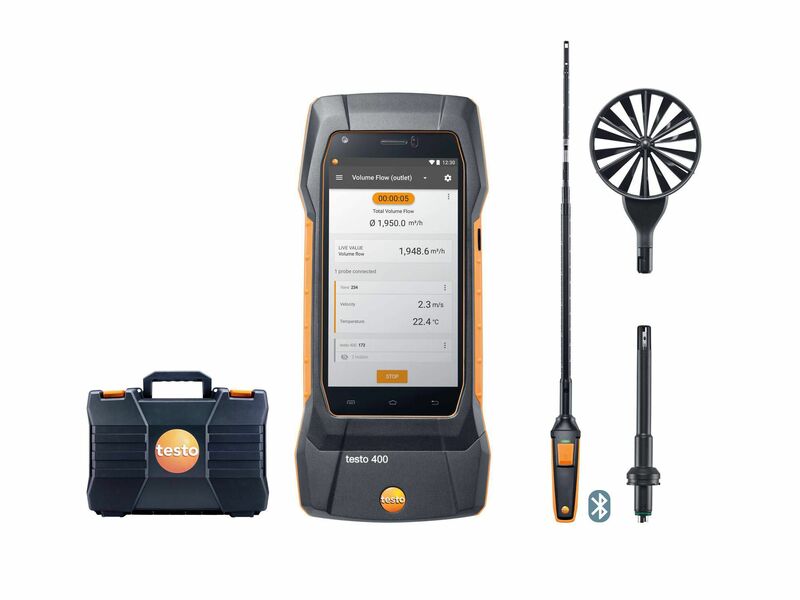 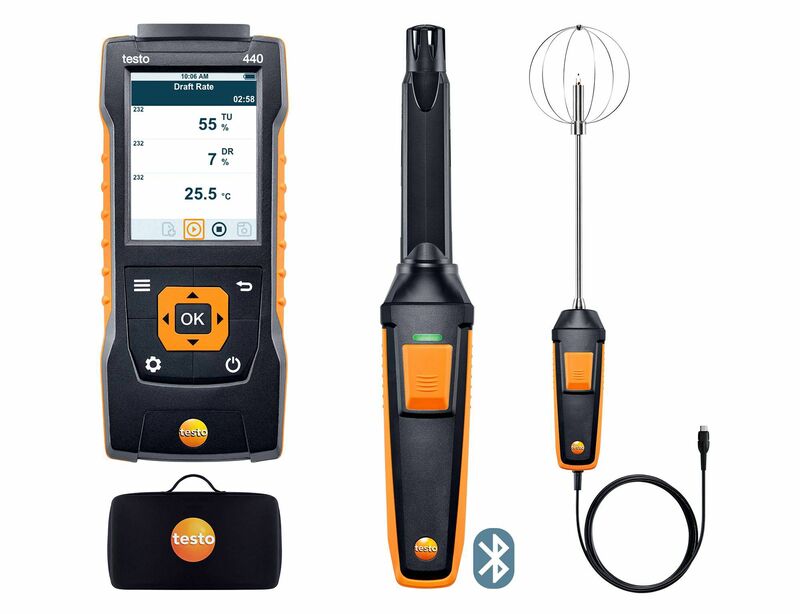 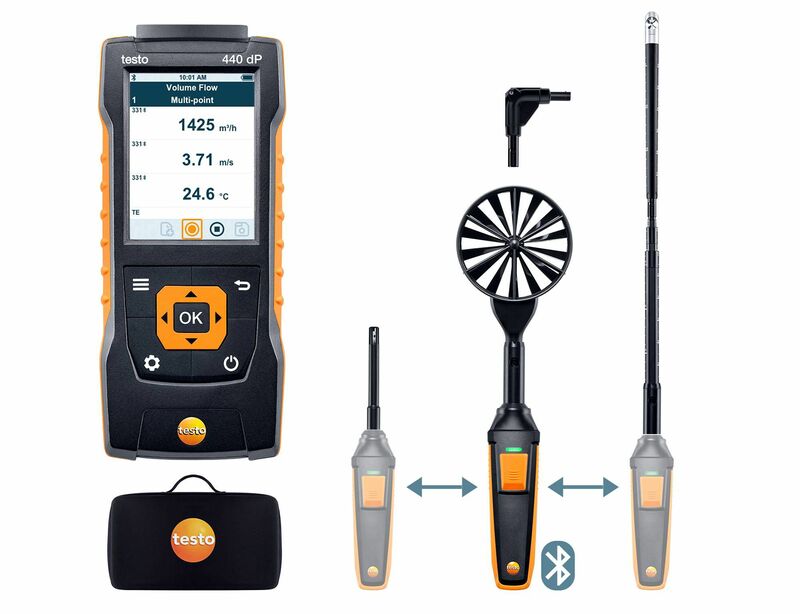 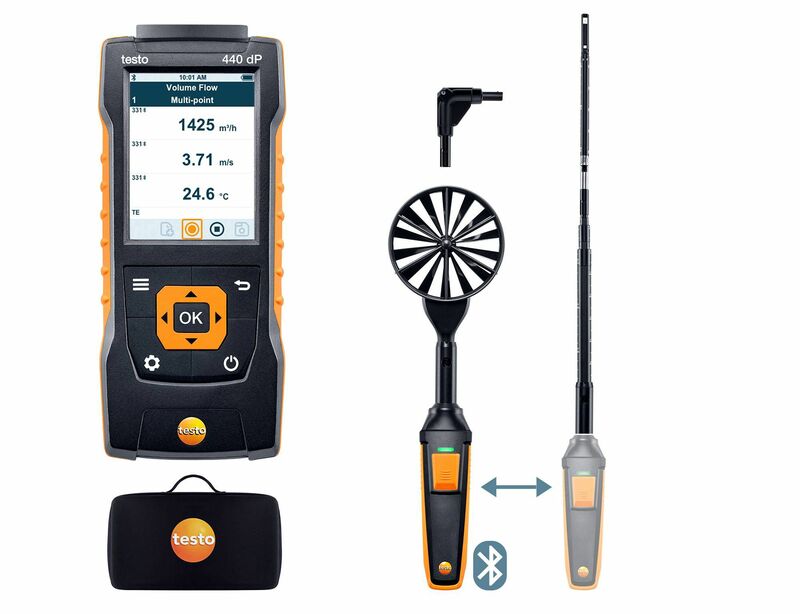 testo 405i thermal anemometer with smartphone operation, including extendible (400 mm) telescope, batteries and calibration protocol.